The 2017 NHL Draft is slated to take place on Friday, June 23rd and Saturday June 24th at the United Center in Chicago, Illinois and there are several Broncos that will anxiously await to hear their name called during the event. 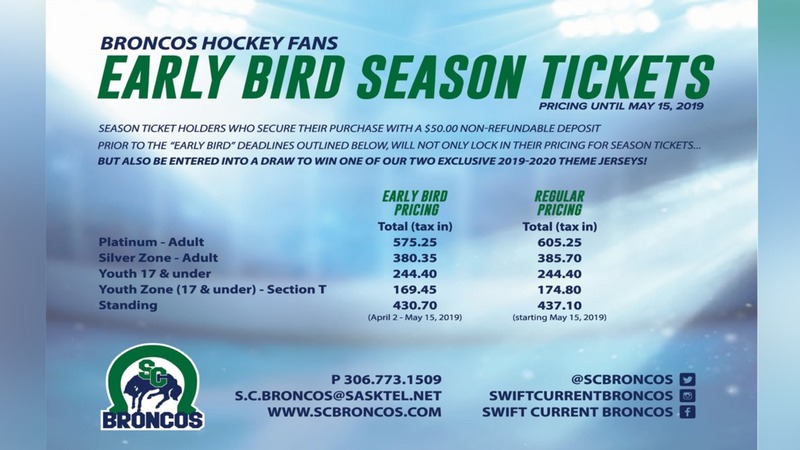 Aleski Heponiemi, Artyom Minulin, Tyler Steenbergen and Glenn Gawdin are four Broncos skaters that are eligible for the 2017 NHL Entry Draft and could very well be NHL prospects when all is said and done. Heponiemi, Minulin and Steenbergen were all ranked on the NHL’s Central Scouting Final Rankings released on April 11th while Gawdin re-enters the draft after being previously selected by the St. Louis Blues in 2015. Heponiemi joined the Broncos in 2016 after being picked by Swift Current with the 10th overall pick in the 2016 CHL Import Draft. In his first year with the Broncos, Heponiemi captured the Jim Piggott Memorial Trophy as the WHL’s Rookie of the Year after a phenomenal campaign. The 5-10, 141 lb forward led all rookie skaters in points with 86 (28g-58a) while playing in all 72 games. Heponiemi’s 58 assists also ranked first in the rookie category and furthermore, 30 of those helpers came via the power play which also marked a league best amongst first year players. The native of Tampere, Finland was ranked 26th amongst North American skaters by NHL Central Scouting in their Final Rankings. 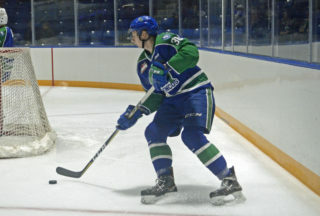 Minulin was the Broncos first round selection, 29th overall in the 2015 CHL Import Draft and has been a steady blue liner in his two seasons with Swift Current. Minulin led all Bronco rear guards in points amassing 50 (8g-42a) to go along with a plus-28 rating in 70 contests. The 1998-born Russian import suited up for Team Russia in the 2016 Canada Russia Series and also played for Team Cherry at the Sherwin-Williams CHL/NHL Top Prospects Game on January 30th, 2017 in Quebec City. A product of Tyumen, Russia, Minulin is ranked 58th on NHL Central Scouting’s Final Rankings. 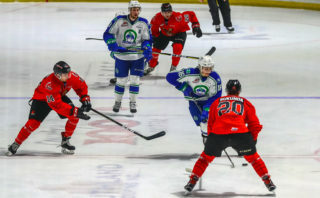 Tyler Steenbergen was the 12 overall selection by Swift Current in the 2013 WHL Bantam Draft and the now 19-year-old has catapulted his way up to being one of the top players across the Western Hockey League. The Sylvan Lake, AB native racked up 51 goals to finish tied for first in the WHL goal scoring race. 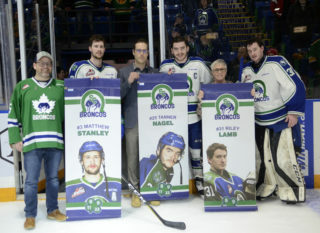 The 5-10, 188 lb forward also tallied 39 assists and a league-leading 12 game winning goals en route to being named the WHL’s Most Sportsmanlike Player along with being listed on the WHL’s Eastern Conference 2nd All-Star Team. Furthermore, Steenbergen is positioned 70th overall amongst North American skaters by NHL Central Scouting after being listed 138th in mid January. Team captain Glenn Gawdin was taken by the Broncos with the fifth pick back in the 2012 WHL Bantam Draft and is the leader of the squad. The Bronco captain posted a career-high 59 points (26g-33a) in 52 games while adding 6 goals and 11 points in 14 playoff contests. 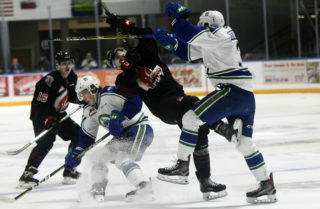 Gawdin was voted the Team MVP over the past season and also won two other team awards including the Innovation Credit Union Coaches Award as the best coachable player and the RBC Dominion Securities Chairman of the Boards award as the player who demonstrates the best fore-checking and play along the boards in game. Broncos blue liner Sahvan Khaira is eligible for the 2017 NHL Draft and could be drafted in the latter portion of the event so be sure to keep an eye out for his name. Khaira saw his role steadily increase throughout the season and finished a strong campaign with 17 points (1g-16a) while playing significant minutes on the blue line well into the WHL Playoffs. The 2017 NHL Entry Draft will take place in Chicago on June 23 and 24. 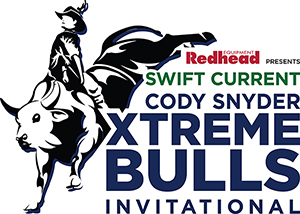 The first round will begin at 5:00 p.m. MT (4:00 p.m. PT) on Friday the 23rd, while rounds 2-7 will take place beginning at 8:00 a.m. MT (7:00 a.m. PT) on Saturday the 24th.